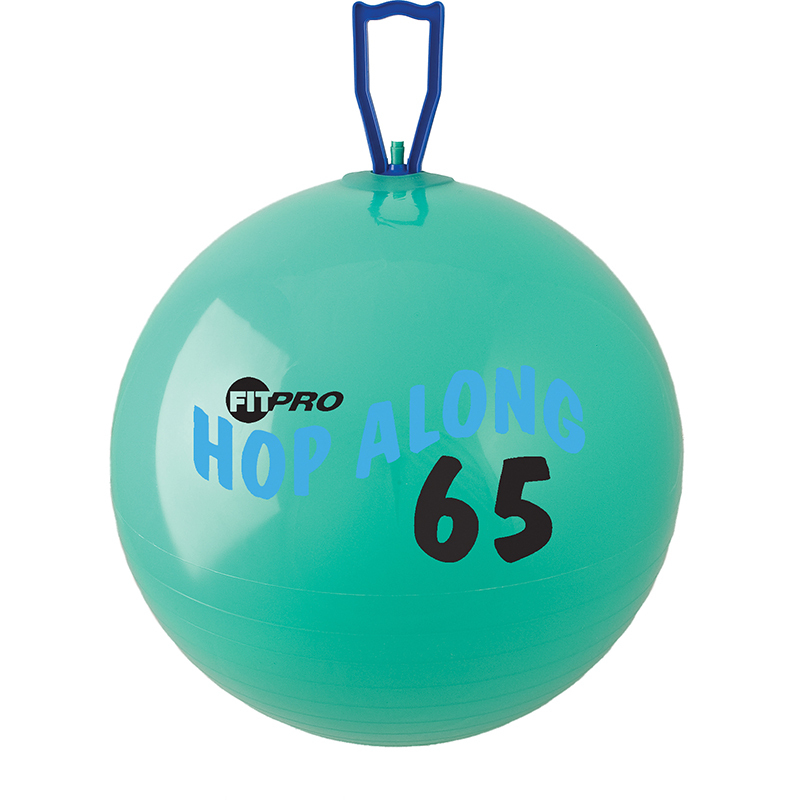 As a fun cardio activity and a core workout, the Champion Sports 53 cm FitPro Hop Along Ball is a great way to improve your balance and core strength while also having fun. The super elasticity is designed to maximize your bounce while also being strong enough to withstand the wear-and-tear of daily use, making it great for use at-home, in Phys. Ed. or fitness classes. 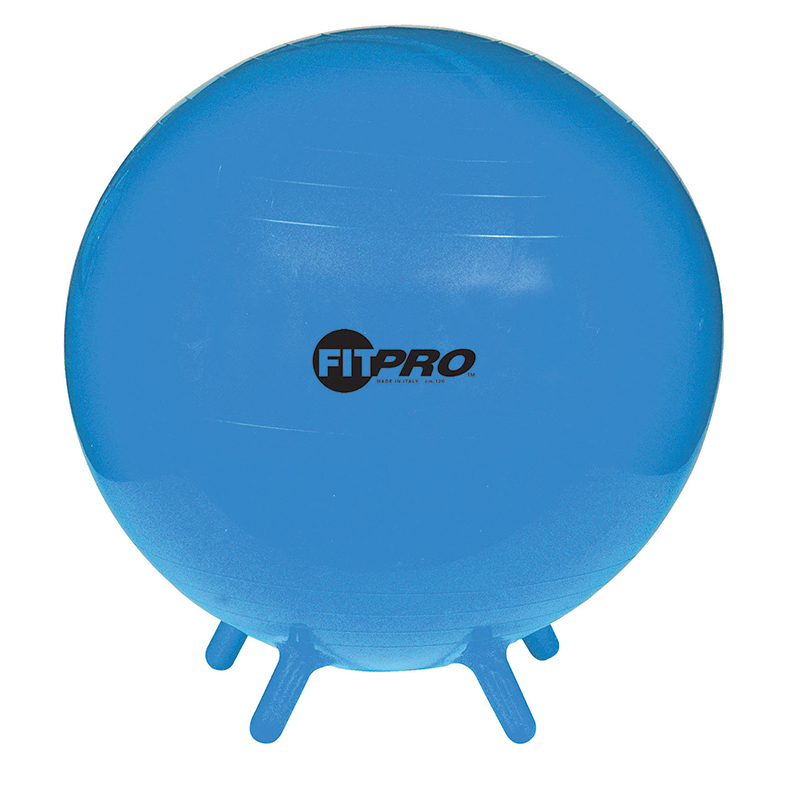 This exercise ball also features plastic handles fitted into the mold of the ball, providing the user with a comfortable bounce while also promoting safety and control. 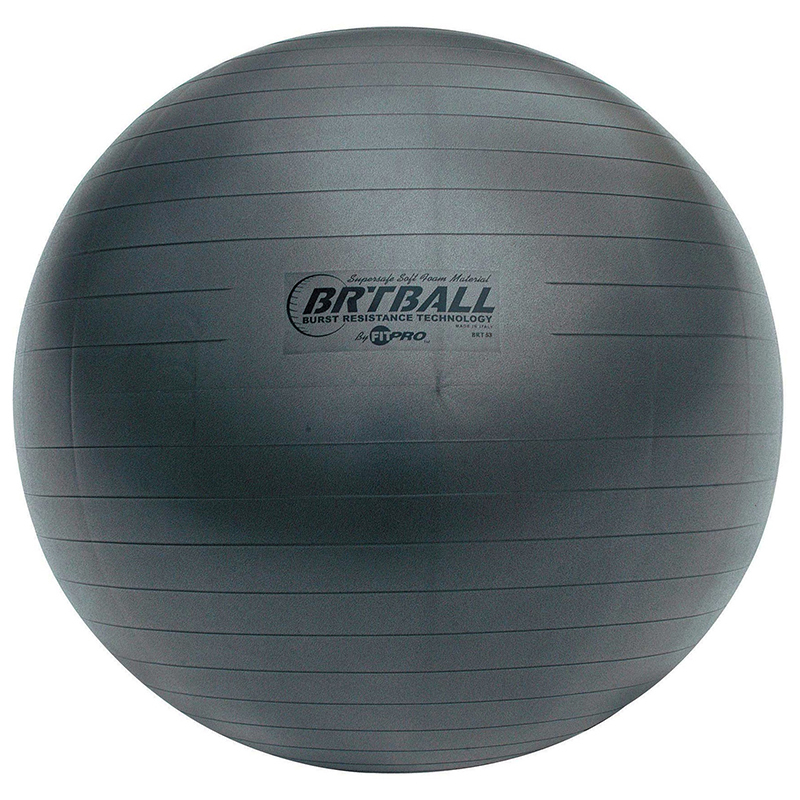 This ball is recommended for people who are 5'1" to 5'6" tall. 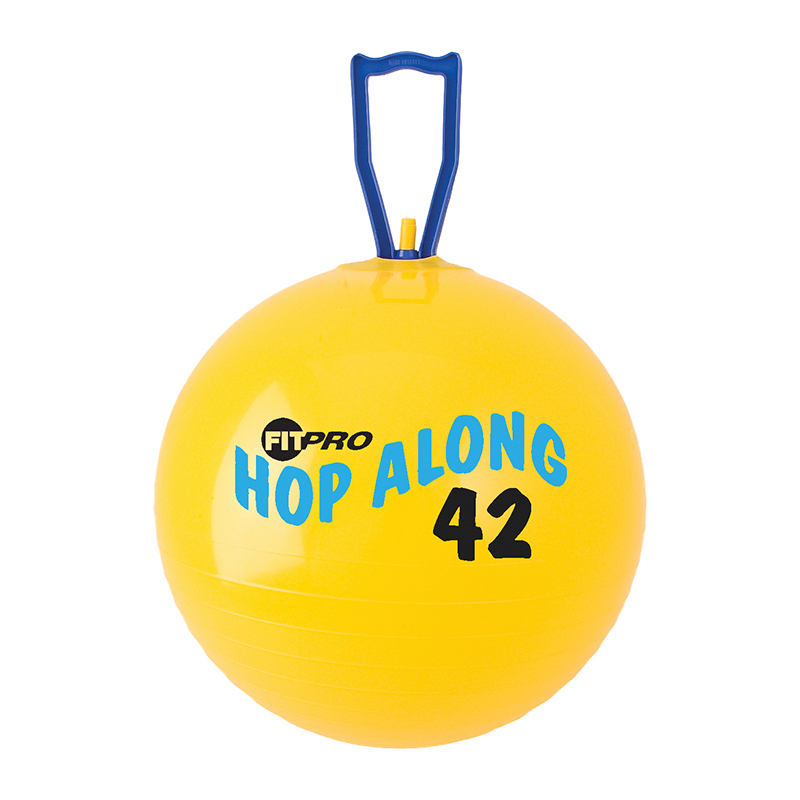 The Fitpro 20.5in Hop Along Pon Ponball Red Medium can be found in our Physical Fitness product category within the Active Play. Jump around on the Fitrpo Hop Along Jumping Ball from Champion Sports. 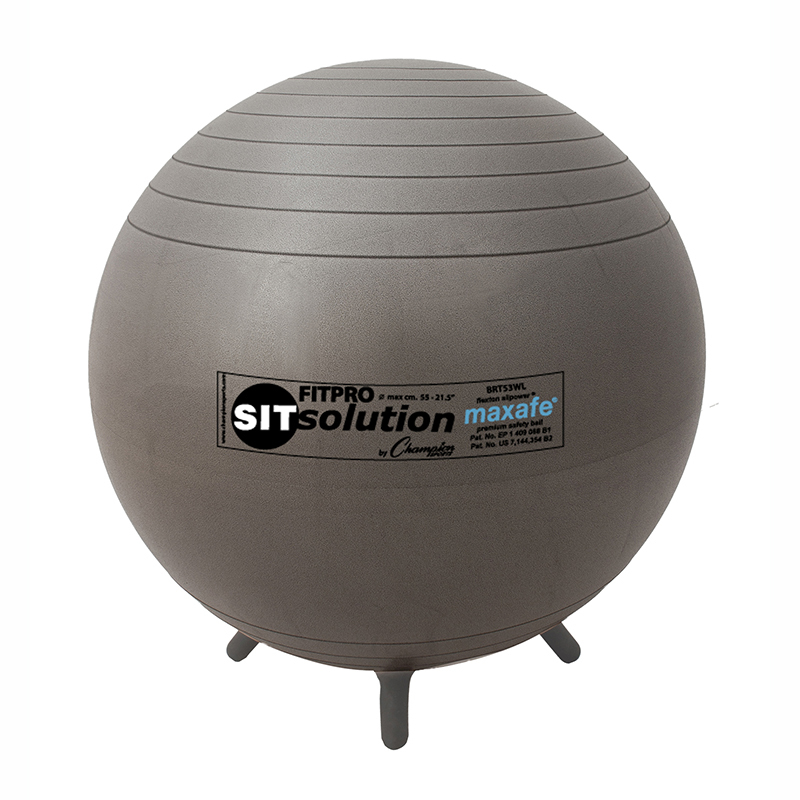 A fun way to get a cardiovascular and muscle toning workout, riders simply sit on the ball, hold on, and begin jumping. 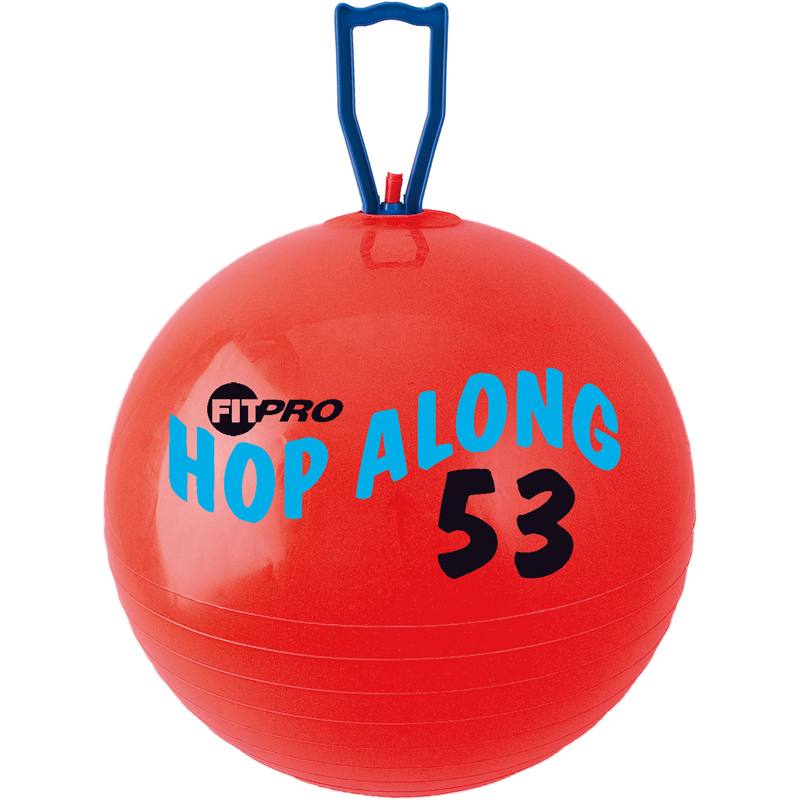 The 53 cm pon pon ball is the medium size in Champion Sports collection of Hop Along Balls. They offer the best performance in rebound elasticity and strength, and feature an exclusive handle fitted directly into the mold of the ball, so your ride is stable. The Hop Along Ball is also a fun activity for kids.